After the war, in the DP camps, Elie Wiesel’s father asked the Ungvarer Rov zt”l to watch over his “Leizer” that he remain a frum Yid. Elie’s father was niftar in the DP camps and the Ungvarer Rov kept a kesher with Elie until the Rov’s petirah almost 5 years ago. 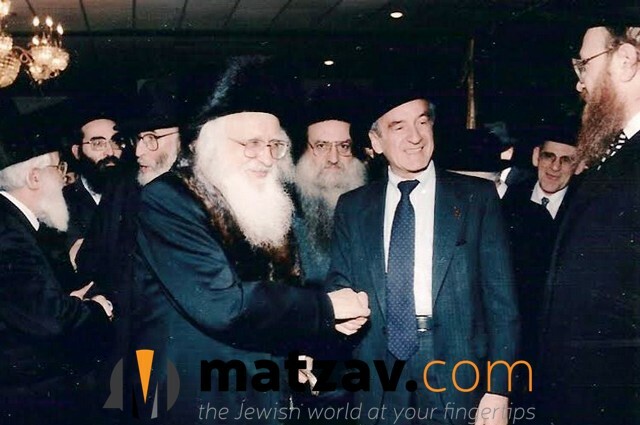 The Ungvarer Rov verified that Elie was a shomer Torah umitzvos. 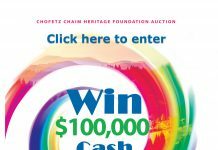 At one point, about 11 years ago, he sent me round trip by cab to Elie’s Manhattan apartment to pick up his tefillin, bring it to a sofer to check, and to bring it back so that Elie can wear them the next morning. The tefillin were 100% kosher. 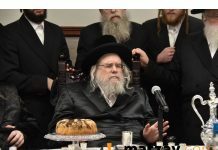 On another occasion, the Ungvarer Rov clipped a picture from the New York Times with the caption, “Elie Wiesel’s Empty Seat.” Elie did not attend a memorial for politicians because it took place on Shabbos. His absence was noted by all. According to his writings Elu Weisels father did not survive the war so how could he be in a DP camp? Eli Weisels father did not survive the war Abd died in the camps. Actually his father died during the war not in the d.p. camps.He grew up in sighet.he was 16 at the time of the war and he was around the same age as the ungvar rov.The ungvar rov wrote about his relationship with Elie Wiesel. Could be that it was a few months before but I now the story as will from a good source close to the ungvarer rov. The ungvarer rov was liberated from Buchenwald כ”ח ניסן and was 20 years old at the time. Does anyone have the name of the family offhand? Is this writer a propagandist? who is “Leizer”? I thought his name is Eli. Leizer is not a nickname for Eli. Very weird story. I agree with #8, Cohen. Leizer is a nickname for Eliezer. Eli is short for Eliezer. What’s so strange? His name was אליעזר, we can all learn לע”נ אליעזר בן ר’ שלמה הלוי he did a lat for all of us like the money our family got from the Germans. The ungvarer rov was in a DP camp for 6 months in France after the war with over 500 children where the group of 6 between the ages of 20 and 26 I think R’ Moshe schon father of chiem hersh (lives on the black of ungvar BM in BP) was the oldest and the ungvarer rov was the youngest, thay tout the children to learn and doven. Elie Weisel and R’ Yisrael Meir Lau (5 year old at the time) wear bouth in the group of children. 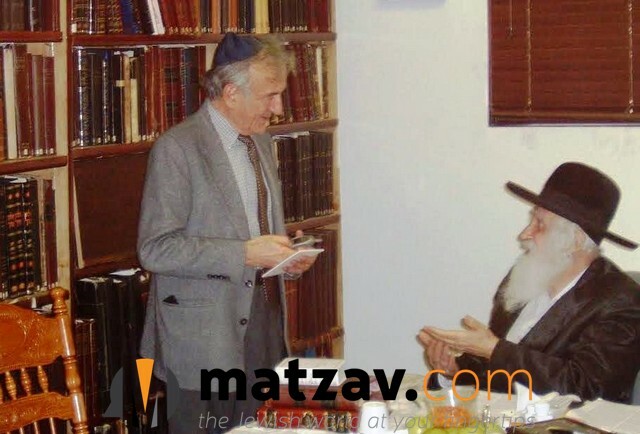 I was meany times in the ungvarer rov’s room when “Leizer” (Elie Wiesel) called, he would ask if he should give speeches and if it is correct to say…, and before giving the speech or doing for the klal yisroel he would call and the Rov would tell him “you should have hatzlacha and klal yisroel should have hanu’ah form all that you do.